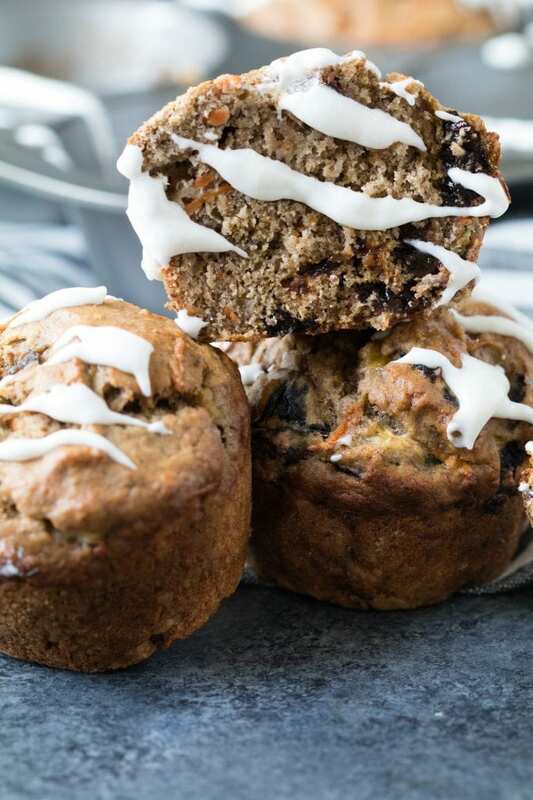 Plum Perfect Muffins - Delicious for breakfast or mid day snack! 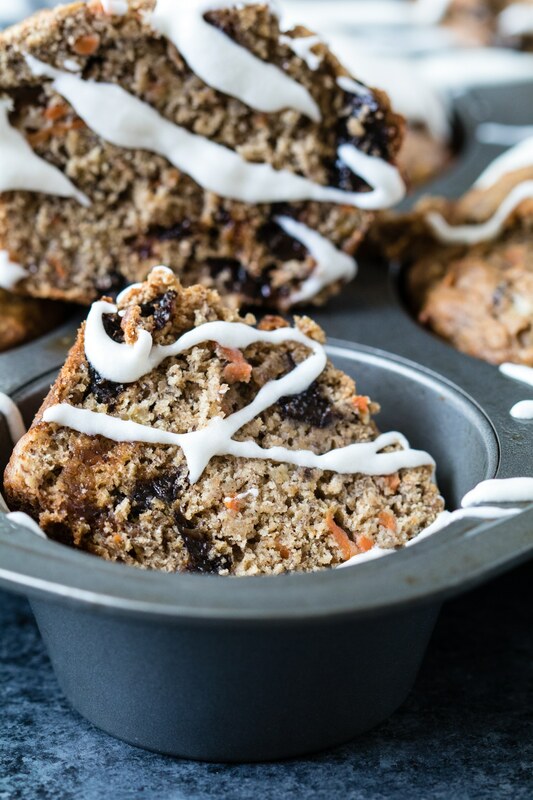 Plum Perfect muffins, a delicious and healthy treat for breakfast with your coffee or to enjoy as a dessert! As part of the Recipe Redux, I was shipped samples of California Dried Plums to recipe test for this contest! At first I was thinking of making some type of sauce/glaze to pair with a protein but then started to think how yummy these would be use as a sweetening agent in muffins! I am all about baked goods, but without all of the sugar and high fat content. 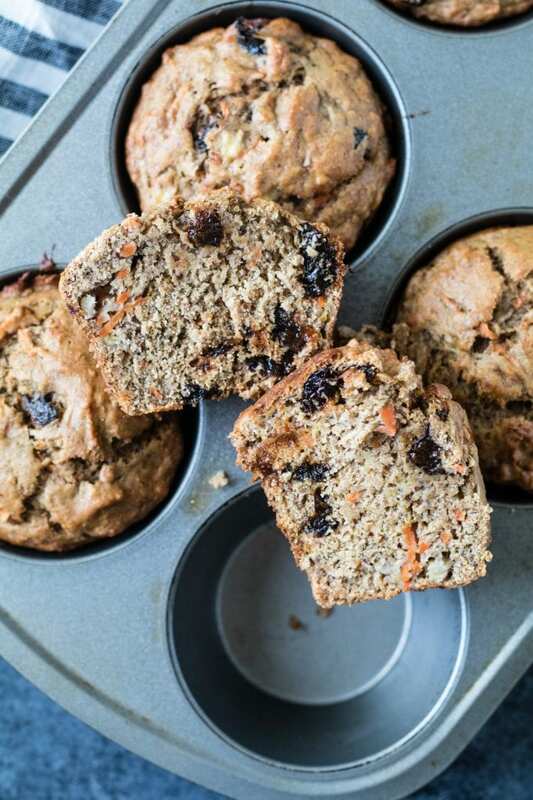 Which is why with these muffins I used shredded carrots, bananas, and these nutrient packed plums to make plum perfect muffins! (PS: I made this recipe in May 2015 and I re-took these photos March 2017). People sometimes may be turned off by dried plums because “they look gross” and are more commonly referred to as prunes… which makes you think of your grandma (haha). But have those people every really given prunes AKA dried plums the attention they deserve?! They are sooo tasty and provide our bodies with so many health benefits. The California Dried Plums board refers to these as, “nature’s tasty, bite-sized nutrition powerhouses.” These description could not be any more true! Dried plums are great for improving your bone health and maintaining a healthy digestive system due to the high fiber content. Plums also contain B vitamins, potassium, magnesium, and antioxidants which all promote good health. Plums are even great for weight management! About 4-5 dried plums contains 3g of fiber and ~100calories. Try to enjoy these as a snack to help curb your hunger and prevent overeating later on. 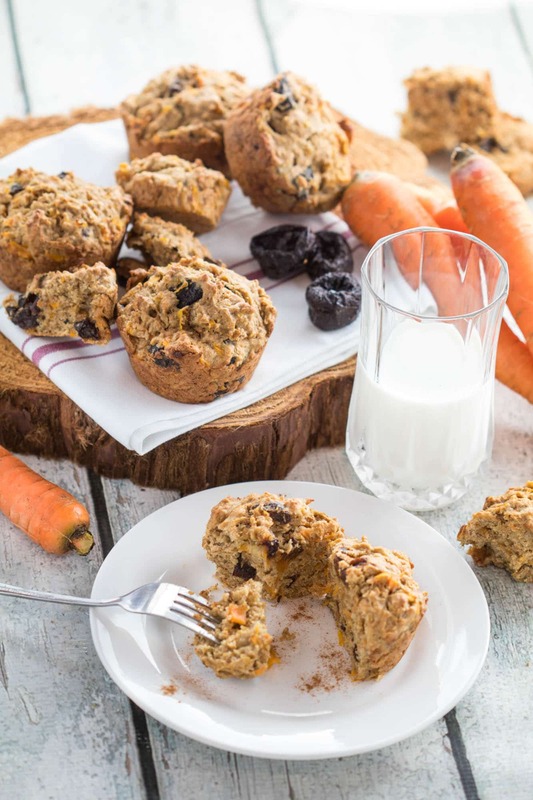 Perfect breakfast muffin full of nutrients and fiber! 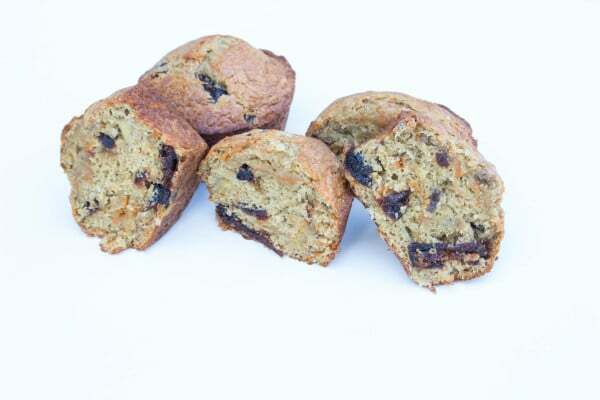 Preheat the oven to 400 degrees F. Grease your muffin pan and set aside. 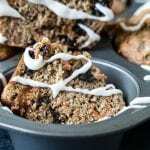 In a large bowl, whisk the 2 flours, baking powder, flax seed, baking soda, cinnamon, and salt. In a separate medium sized bowl, mix the bananas, brown sugar, oil, vanilla, and egg with a whisk or fork. Once mixed, stir in the carrots and the prunes gently. Add this mixture to the flour mixture and fold until all ingredients are combined. Do not over mix. Spoon the batter into the prepared muffin pan. 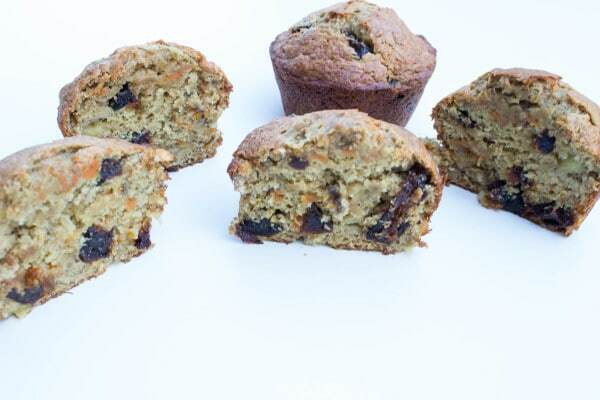 Bake for about 23 minutes, or until toothpick inserted into the center of the muffin comes out clean. Remove the muffins from the oven, and serve warm. For me - this made 6 large muffins, and 6 mini muffins (cupcake size). Enjoy! 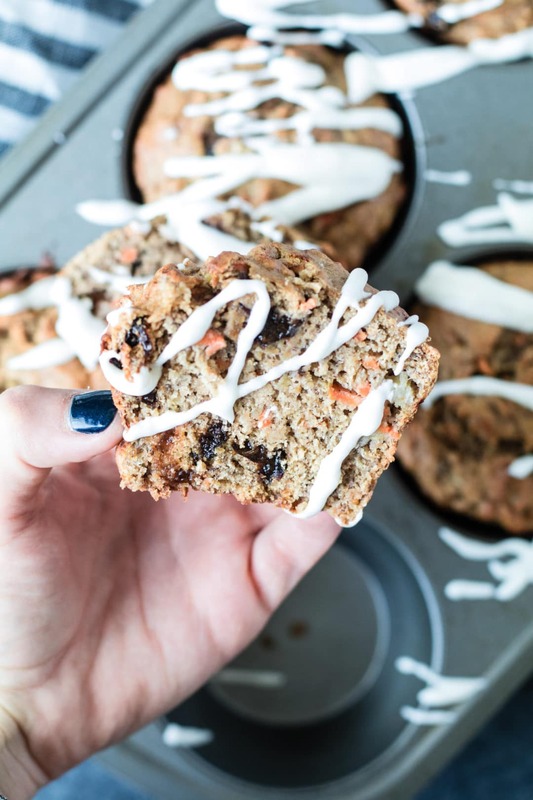 Such a perfect name for these perfect looking muffins! These look delicious! Muffins are my weakness. I’ll definitely have to try these out! I’ve never had a muffin with plum in it before, but you have me intrigued. Definitely will be giving these a try!